help you meet your goals to feel better both mentally and emotionally. Browse through David’s website to discover what you can do to help yourself! Taking the first step in getting help is by making an appointment! 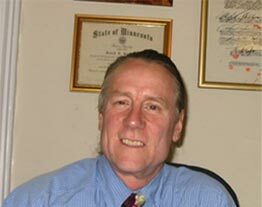 David DuBois is a licensed psychologist who works with people in the Minneapolis - St. Paul metropolitan area. David has a Master's Degree in Counseling and Psychological Services. Since 1989 David has been licensed by the State of Minnesota to practice psychology as an independent practitioner. David practiced psychology for Allina Health Services from 1997 to 2001. Prior to that he worked at Behavioral Health Services Incorporated from 1987 to 1997. Since 2002 David has practiced on his own and now offices within his home in South Minneapolis. "I believe that therapy is about change and growth towards personal goals." Prior to getting his License in Psychology, David worked as a Certified Chemical Dependency Counselor for twelve years. During those years he worked with diverse groups of people working both as a Family Counselor and a primary CD Counselor. Today David has vast experience working with people suffering from depression, anxiety, post traumatic stress disorder, ADD/ADHD, disassociate disorders, and issues relating to addictions. He also spends a great deal of time working with victims of domestic abuse. For 15 years he has led and counseled an Anger Management Group. In his free time David is an avid bicyclist and is involved in many that benefit a variety of charities. In 2008 he completed a 300-mile bicycle ride fundraiser that supports local agencies helping with people infected with HIV/AIDS. David also has enjoyed being a part of the Minnesota Renaissance Festival. For over eighteen years he has been a street entertainer, juggling words, limericks, and fractured nursery rhymes in the streets of the village. He also enjoys hiking, riding motor cycle, and target shooting in his free time. He is also an active member in his church and is a participant in variety of different activities. David works with individuals, families as well as adolescents and their families. He is particularly interested in working with people who have anger management issues. Since David began his practice as a psychologist he has been leading an anger management group open to both men and women. In addition to working with people to resolve Anger Management issues David also works with people who have Bi-Polar illness, Depression, Anxiety PTSD, and Addictions. David works with individuals, families, groups and couples. Working with people is his primary responsibility regardless of race, gender, religion, or sexual orientation and believes that people come first. What are some of the issues you would like to discuss with David DuBois?